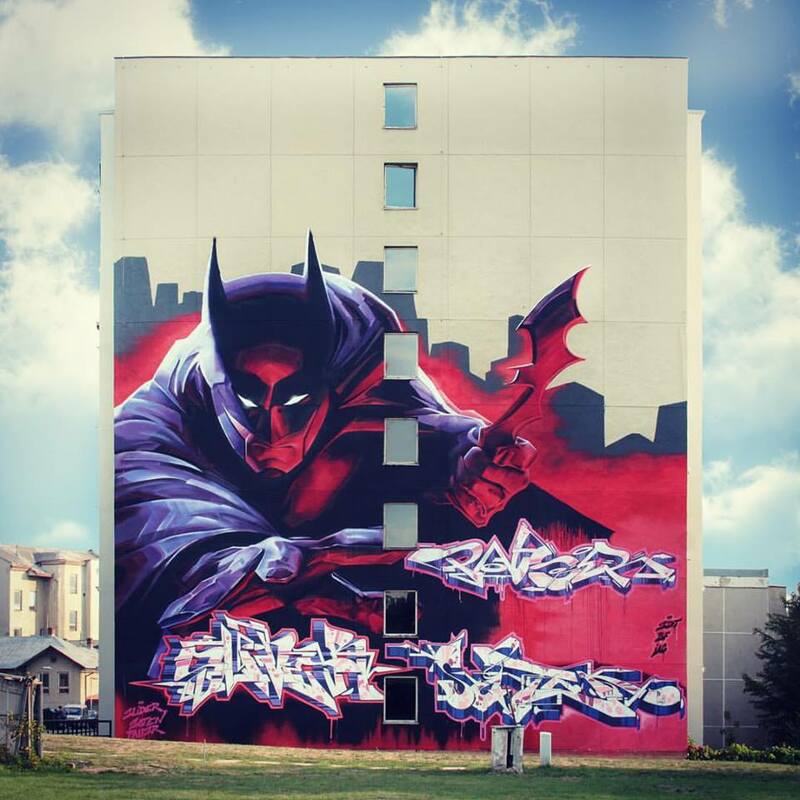 BAT - BLOG : BATMAN TOYS and COLLECTIBLES: #BATMAN FANDOM Spotted Around The World!! #BATMAN FANDOM Spotted Around The World!! "BATMAN FANDOM Spotted Around The World" is starting to become a regular feature here at the BAT-BLOG. We get fan mail from all over the globe with people sharing their love of the Batman character and, in turn, we totally dig it!! It's so fun to see how the Dark Knight is perceived in other cultures. 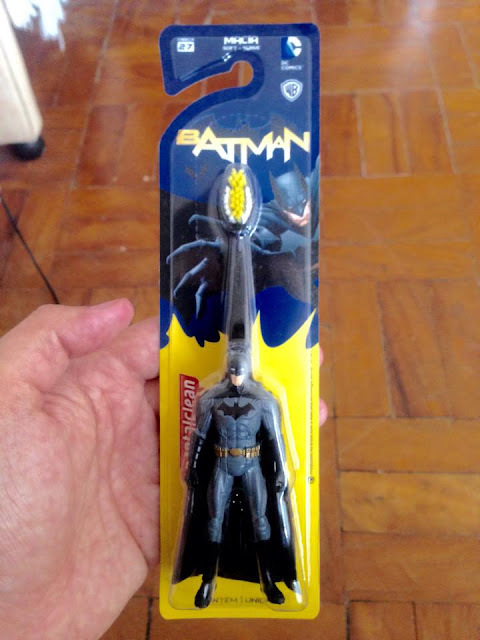 Next up is a brand-new piece of Merchandise, a BATMAN Toothbrush. but, before you hit some stores to try and find it please note that this version is only available in Brazil! 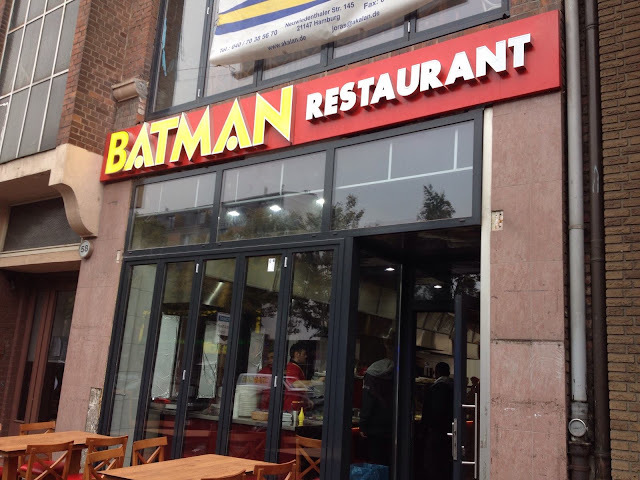 Then, look at this BATMAN Restaurant a friend came across in Germany. "Batman" is a common name in other countries so this could easily read there like "John's Hamburgers", ha ha! 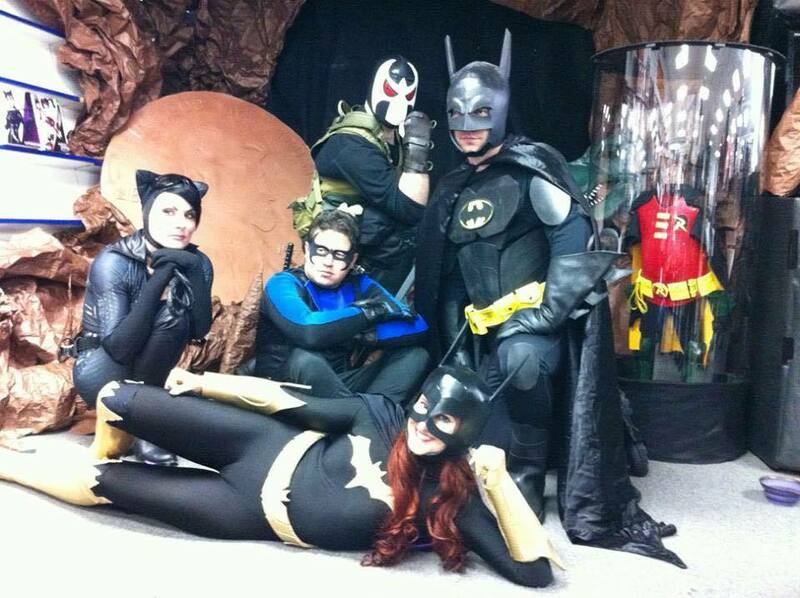 Next up are a group of some pretty serious "Batman Family" Cosplayers in Oklahoma City, OK. Their costumes are EPIC! Here they are at an event for the retail comic book store, New World Comics. (Check out the "Batcave" in the background with the "Giant Penny" and everything, it's way too cool!). 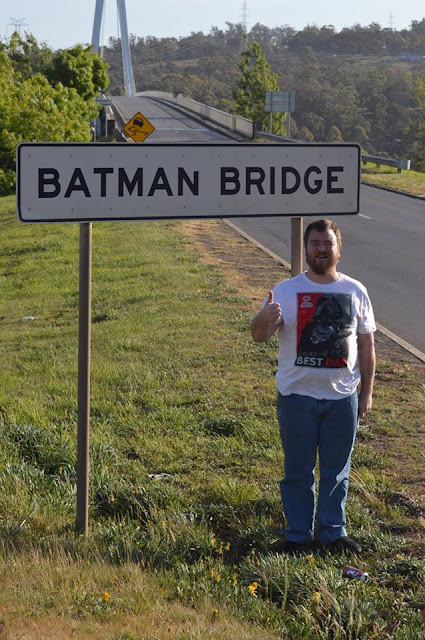 Then, last but not least, is a friend to the site named Blair who visited "Batman bridge" in Tasmania, Australia! Do YOU have a special "Batman photo" you would like to submit? Please contact us today! !